I lied. That’s not the actual dialogue from the commercial. The actual script touting the Galaxy (ii) IV The Voyage Home contained sick jabs about the iPhone 4s’s “spotty battery” in almost the same breath that one actor expresses joy over her knock-off’s 4G coverage without her head exploding from the ironic shearing forces. 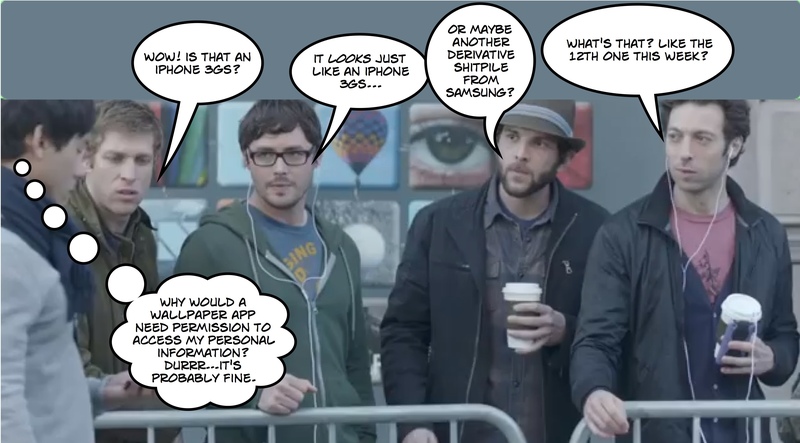 Rumor has it that the sequel to this commercial will focus on the line for the Galaxy S II – the return line.